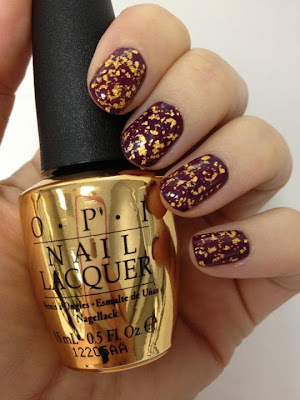 OPI The "Man With The Golden Gun" 18 Karat Gold Nail Polish - Be Glossy In and Out! For celebrating 50 years of James Bond series, OPI will launch in October a new nail lacquer with gold particles of 18 karates. It is a luxury product in limited edition and you will find it till around Christmas. It will be launched together with the new movie from James Bond series, Skyfall, which will have the premiere also in October. 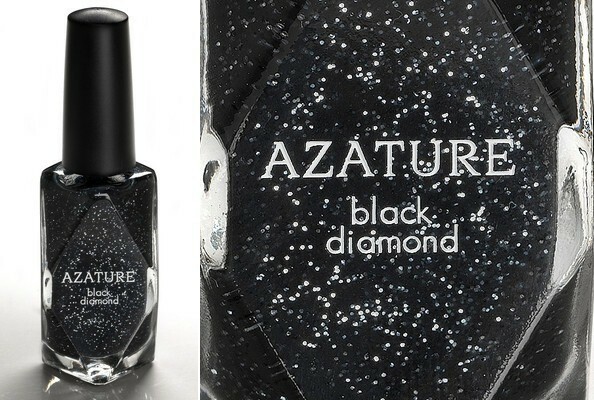 You apply it as a top coat over another nail polish. But it would look great over dark colors like black, burgundy or purple. I like very much how it shows on the nail, looks like autumn leaves. And as you know I am in the golden period in make up and in accessories, so it would be a dream come true to wear some gold on my nails. 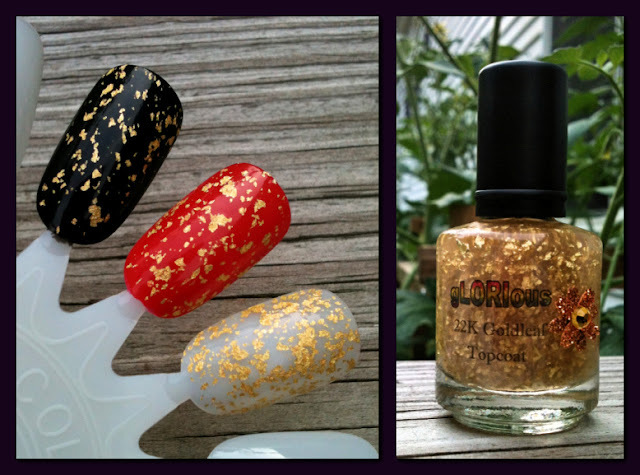 But I have good news, I searched for a similar nail polish, much cheaper and I found one with gold particles of 22 karats, at only 16$. The shipping costs 3$ for USA residents and 5$ for other countries. You can find it here. And there is also the Boom Boom Pow from deborah Lipman, with 24 karats gold dust, at the price of 20$. What you think of OPI "Man with the Golden Gun" with 18 karats gold? But what about the other nail polishes? Would you buy something like this at those prices? I am waiting for your comments and don`t forget to Like me on Facebook. I love the gold flecked one! Such a unique polish! Sunt frumoase dar sincer nu as da atatia bani pe ele .Imi plac unghiutele tale. Wow! The OPI one looks so precious!! oh i just love it!so beautiful and unique. great post ! 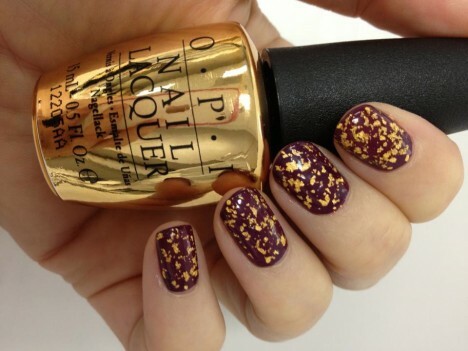 Love the gold leaf effect thing :O I want that OPI nail polish !! !